Faraday Future has secured building permits and chosen a contractor to begin work on its Hanford production facility. 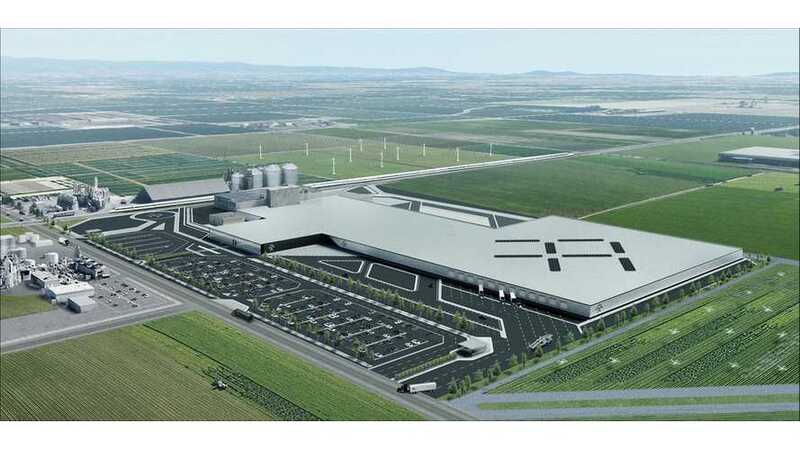 Despite a laundry list of problems, Faraday Future announced that Bernard will be contracted to work on its one-million square foot automotive factory in Hanford, California. Bernard is a commercial manufacturing firm headquartered in San Fernando, California. It wasn't disclosed if Faraday selected this company as a first choice or if it was one of few contractors willing to work with a startup that has made a reputation for stockpiling unpaid bills. Work already began at the site in March, including a mix of demolition and construction. Additionally, an initial wave of production equipment has already made its way into the factory and is currently in the testing stages. Now, Faraday has received official approval from the city of Handford to begin large-scale site work. Prior to Faraday's work at the Handford facility, it was vacated as of February first. At that time, the company began setting plans in place for work related to the current structure's exterior and interior, as well as strategies for implementing production equipment in order to get the manufacturing process underway prior to the close of 2018. The startup chose the factory in Hanford since it sits between Silicon Valley and Los Angeles (key areas for EV adoption) and was a "turn-key" establishment. Faraday has already connected with the city of Hanford to move forward on recruiting and hiring. Moreover, training programs have begun in the area and some hiring is already taking place. The company's goal is to hire up to 1,300 workers.